A lot of research has gone into type design. You can find papers on the history, drawing and technical complexities of creating typefaces. It's an art form in itself. Unless you’re living in a very isolated area without road signs or street signs, you will find that there will be different fonts all around you in day to day life. From the Tube station in London, to road signs on the motorway, to shop signs and more. It’s so easy to ignore them all, especially as we’re all so familiar to our surroundings. But where exactly do you begin if you want to make your own font? If you're a designer or illustrator new to this discipline there are a number of items to think about. 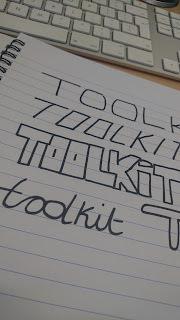 It is advised that you start off creating your font by hand. Take pen (or pencil) to paper. Sketch out your ideas and style you're looking for. 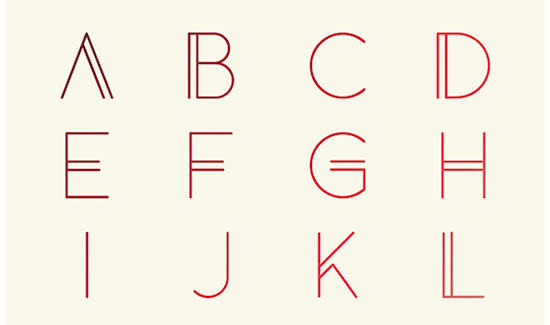 Designing certain characters first can help set the style of your typeface. Often called 'control characters' H and O are usually the characters designers begin with. When you are ready, it's time to get your font onto the computer. There are tracing programs available if you need help. Many designers from a graphic design background will opt or Adobe Illustrator to start drawing their type face, because this is what they are used to. 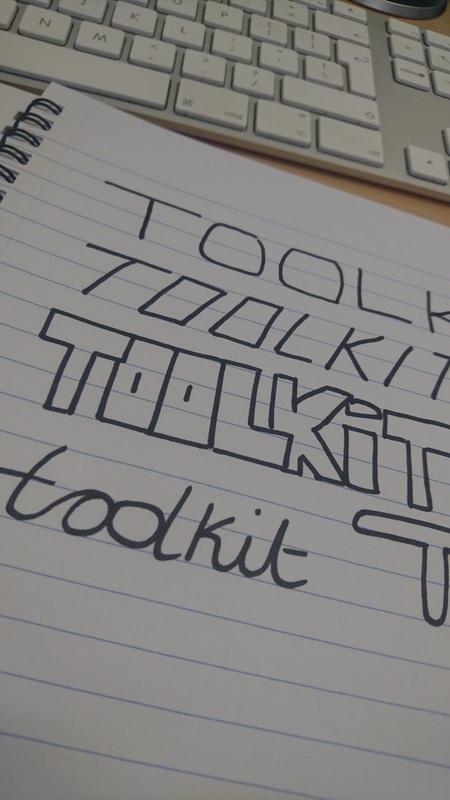 It offers brilliant tools that are flexible and customisable. In order to create a unique font, you need to study other examples and compare and contrast to see what you like or dislike about them. Take a look at what fonts link together such as Helvetica and it's other forms such as Helvetica Neue. Printing your progress and seeing it away from the confines of pixels and backlighting will help you view it from a different perspective. If your aim is to have your font available publicly, you will need to develop a broad character set for every letter and punctuation mark that people will want to be able to use. Ever wondered what your handwriting might look like as a font? Well now you can see! myscriptfont.com have a service where you can turn your handwriting into a font. - Use a medium-thick, black felt pen. - Scan with 300-600 dpi. Other than these, you can be as creative as you like! Next, scan it at 300 dpi in grayscale, not colour. Don’t try cheating and taking a photo of your template with your phone. This doesn’t work because you have to use an actual scanner. Thirdly, upload your template to myscriptfont.com and they’ll give you a sentence displaying all of your characters. If it looks like text, great! If it looks like a completely new alphabet make sure your file is portrait and not landscape. Install your font on Windows: Go to your Control Panel, then Appearance and Personalization and then go to Fonts. Click on ‘File’ and scroll to ‘Install New Font’. Now your handwriting is on your computer, you can write all of your handwritten letters on your computer – who’s going to notice? !